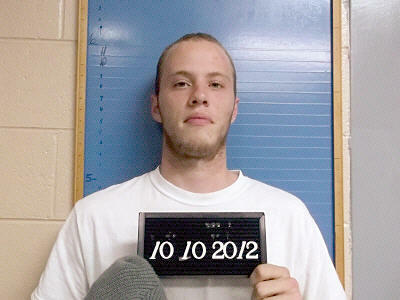 A 22-year-old Cannon County man has been charged with the arson of Ivy Bluff Methodist Church. Ezra Marino was arrested Wednesday, Oct. 10 following an investigation by Investigator Anthony Young of the Cannon County Sheriff’s Department and an agent from Tennessee State Bomb and Arson, said Sheriff Darrell Young. “The investigation is still ongoing at this time,” Sheriff Young said. Until the structure can be rebuilt the church will meet at nearbyWoodlandElementary School. The church building was a total loss. It was insured and will be rebuilt. Response to the fire was immediate and widespread, the pastor said. More than nine area churches volunteered space for services. “We will rebuild in the near future, but there is no replacing the beauty of the church that dated back to 1948. It was so beautiful inside…it is a great loss,” Freeman said. The sanctuary of the brick church was filled with detailed wood working that had been crafted by church members when the structure was built. Freeman said church members came by the burnt church the day of the early morning fire. A brief prayer service was held on the church grounds on Monday night to mourn the loss of the building.